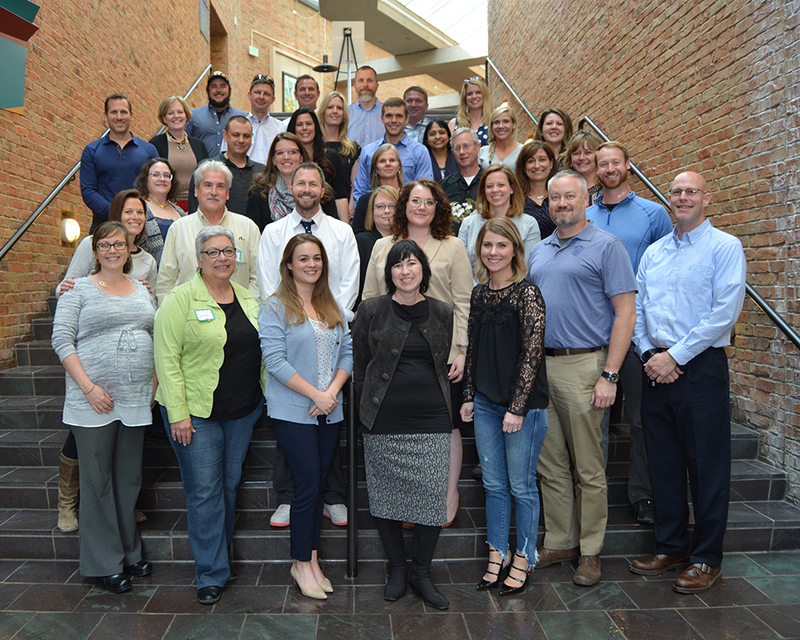 CDPS celebrated the graduation of the second Leadership Strategies Institute (LSI) cohort on May 3. 2018. Participation in the LSI is not for the faint-of-heart. All members of the cohort worked in Emergenetics-based teams and taught sessions to their LSI colleagues during the course of the year; they interviewed a leader, studied leadership books, participated in vigorous discussion developed solutions for challenges within their divisions and across the department. Networking with members of other divisions and the value of new-formed relationships was a highlight again for participants of this year’s institute. The 2017-18 LSI Design Team included: Jana Bates, Patricia Billinger, Tyler Campbell, Amanda Conant, Ty Crocker, Melissa Lineberger, Jana Locke, Christian Mohr, Karyn Murphy, Lisa Pine, Kevin Rants and Beth Roome. "It is an honor and a privilege to work with an amazing team that designs institute sessions, and members of our organization who take time and energy from their year to participate as part of the cohort," said Beth Roome, who leads the Design Team for the LSI.